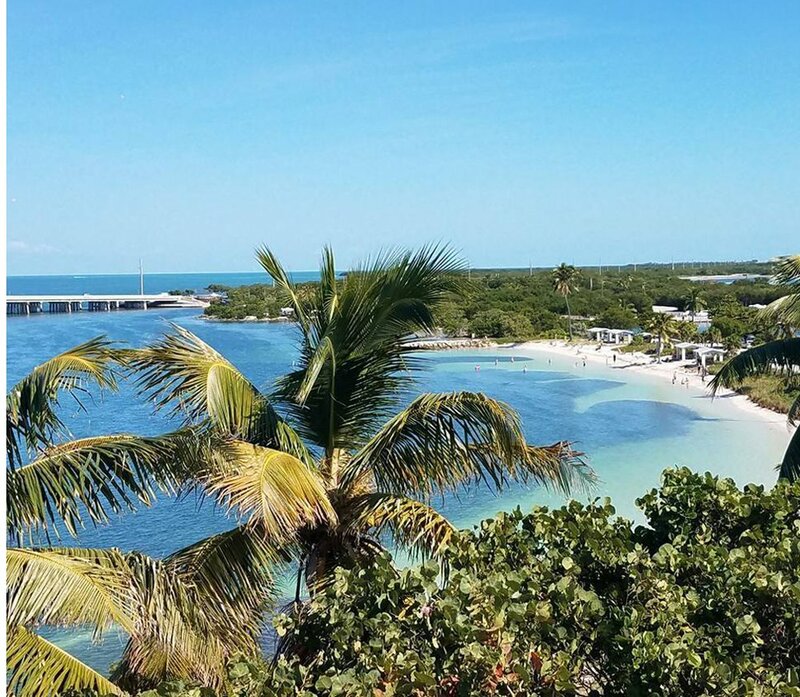 Sustainable family-friendly events in the Florida Keys encourage travelers to discover, connect with and help to protect the lush and remarkable Keys environment. 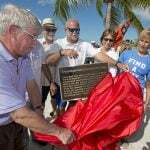 Famed ocean explorer Jacques Cousteau once said, “We protect what we love.” Throughout April, throughout the year and throughout the Florida Keys, sustainable family-friendly events are offered for travelers eager to connect with and help to protect the unique Keys environment. 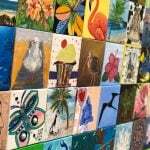 For example, the free open-air Key West Artisan Market set for Sunday, April 7, is themed “Ocean Awareness” with a focus on artistic interpretations of the ocean realm. There you can browse among booths featuring carefully curated artists and crafters showcasing Keys-crafted jewelry, art, curiosities and other wares. There’s live music, craft beer, wine, spirits and fresh food concessions. The event takes place from 10 a.m. to 2 p.m. at Higgs Beach on Atlantic Boulevard — and don’t forget to bring your own reusable bags to carry your treasures home. Mote Marine Laboratory’s Ocean Fest: A Community Celebration will salute the unique marine environment of the Keys from 10 a.m. to 5 p.m. Saturday, April 13, at Key West’s Truman Waterfront Park. 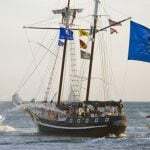 At the free event, you can explore conservation and environmental exhibits, experience touch tanks, meet live marine animals, hear insights from Mote scientists and researchers, browse and buy works by local marine artists and craftspeople, and rock to live music. Plus famed marine life artist Wyland plans to paint with attending children and auction his work. Proceeds benefit Mote Marine’s coral restoration efforts. And be sure to stop by the Florida Keys Eco-Discovery Center, a visitor facility for the Florida Keys National Marine Sanctuary, adjacent to the park at 35 E. Quay Road. Feel like an intriguing nighttime adventure? 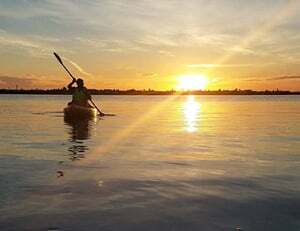 The Florida Keys Wildlife Society, the official “friends group” for the Florida Keys National Wildlife Refuges, is hosting three full-moon kayak excursions into the National Key Deer Refuge off Big Pine Key. They’re scheduled for 6:30 to 8:30 p.m. Wednesday, April 17; Thursday, May 16; and Friday, June 14. Sponsored by Big Pine Kayak Adventures, the journeys take paddlers under the Old Wooden Bridge to No Name Key along the mangrove shoreline. No paddling experience is required, and a $25 donation covers kayak, gear and experienced guides. FYI, the tours depart from 1791 Bogie Road on Big Pine Key. 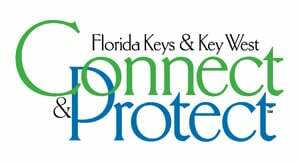 Kayakers can experience organized volunteer cleanups and full-moon paddles this spring in Florida Keys waters. 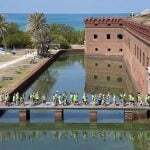 Planning on being in the Keys around Earth Day? Keys Cable at OTHErside Boardsports on Grassy Key is sponsoring a two-day Earth Day Festival set for Saturday and Sunday, April 27-28, encompassing “all things good for the Earth and good from the Earth.” You’ll find healthy food offerings, live music, a fashion show with eco-friendly clothing, Earth-focused pop-up shops, solar-powered wakeboarding and live mural installations painted with a common theme: “Human Effects on the Environment.” The fun takes place at 59300 Overseas Highway. 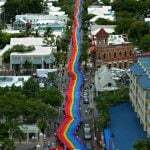 If these events make you want to check out other eco-friendly opportunities in the Florida Keys, just visit fla-keys.com/sustain. And for a comprehensive calendar of events throughout the island chain, simply click here .